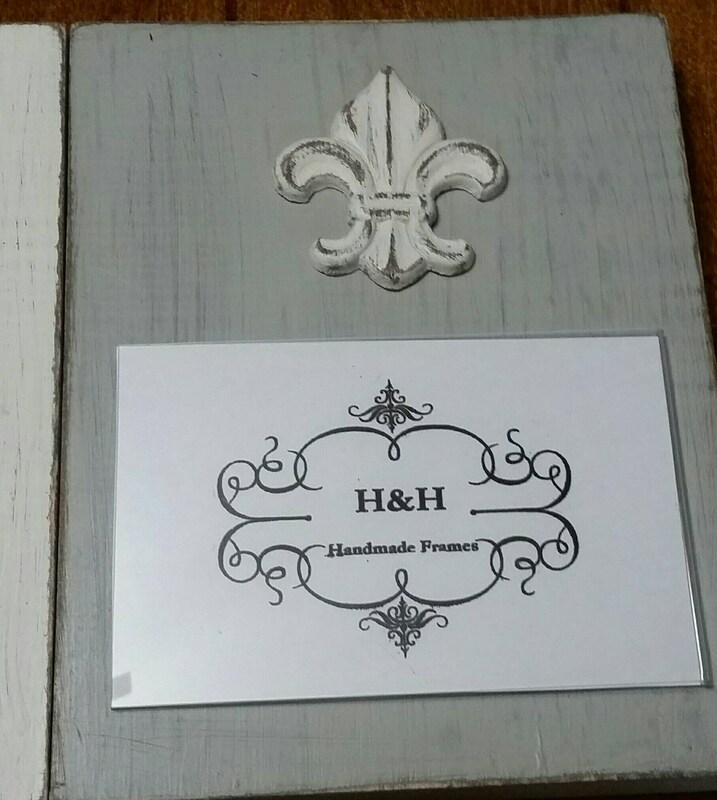 Handmade frame with Fluer de lis - Pick the color that you like the best - just comment which one you would like. 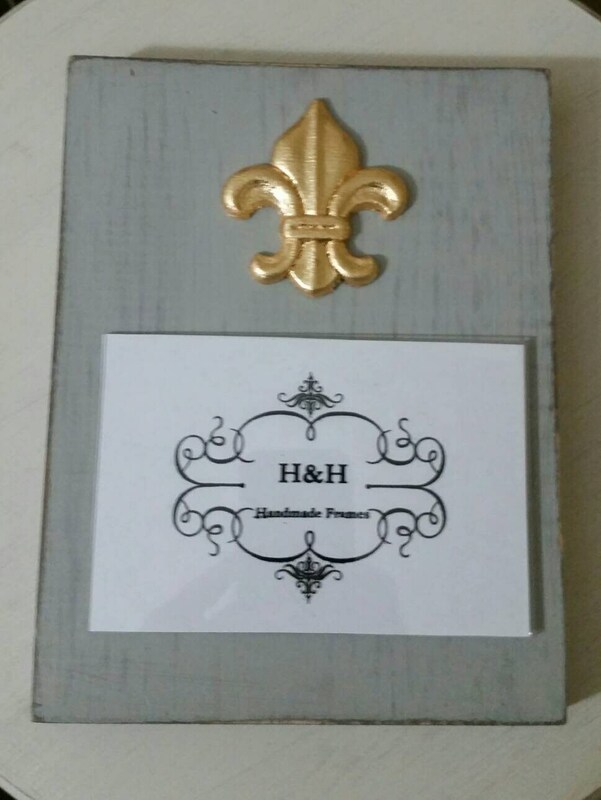 Outside frame dimensions 7 1/2"w x 9 1/2" h and holds a 4 x 6 picture which can be for a vertical or horizontal picture. 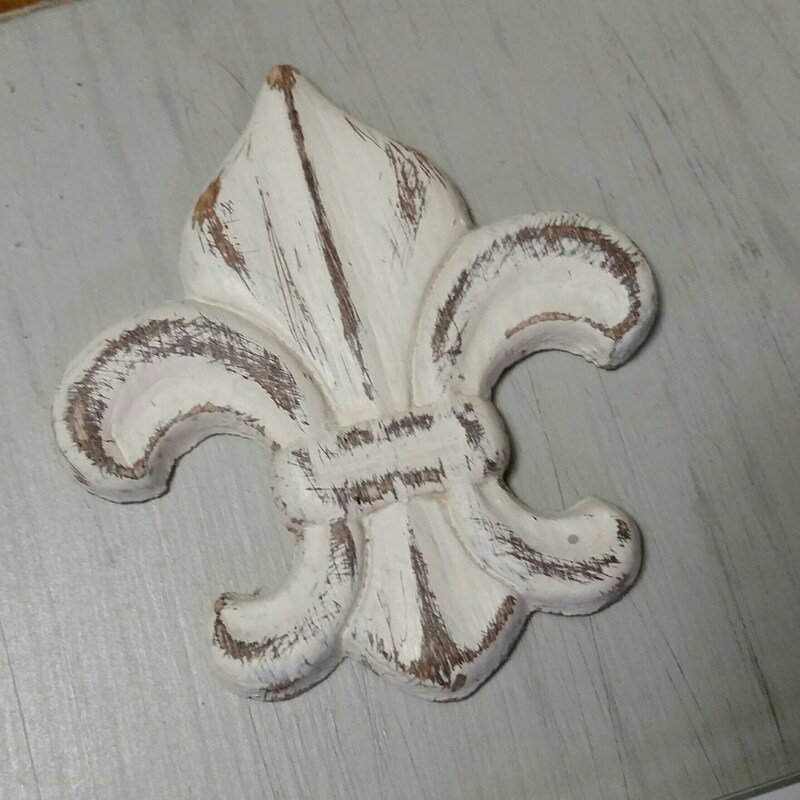 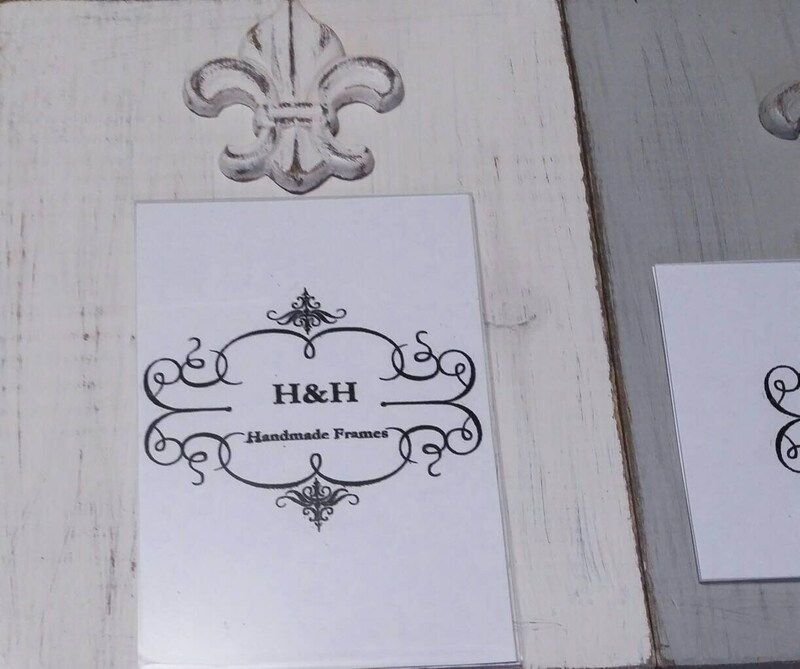 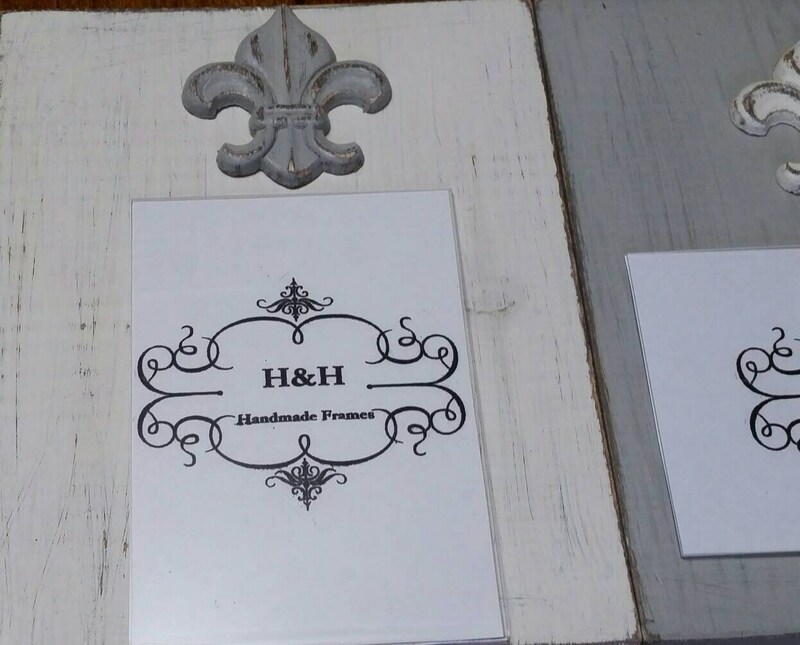 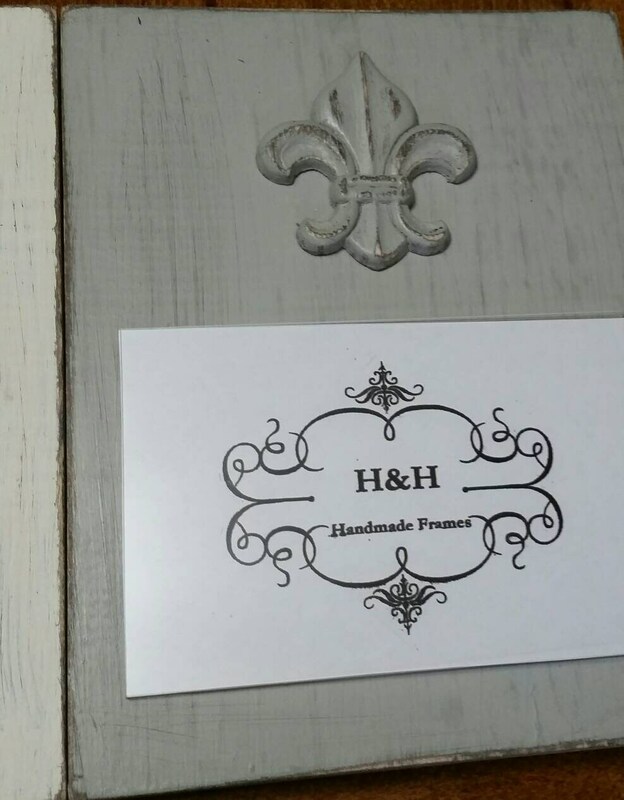 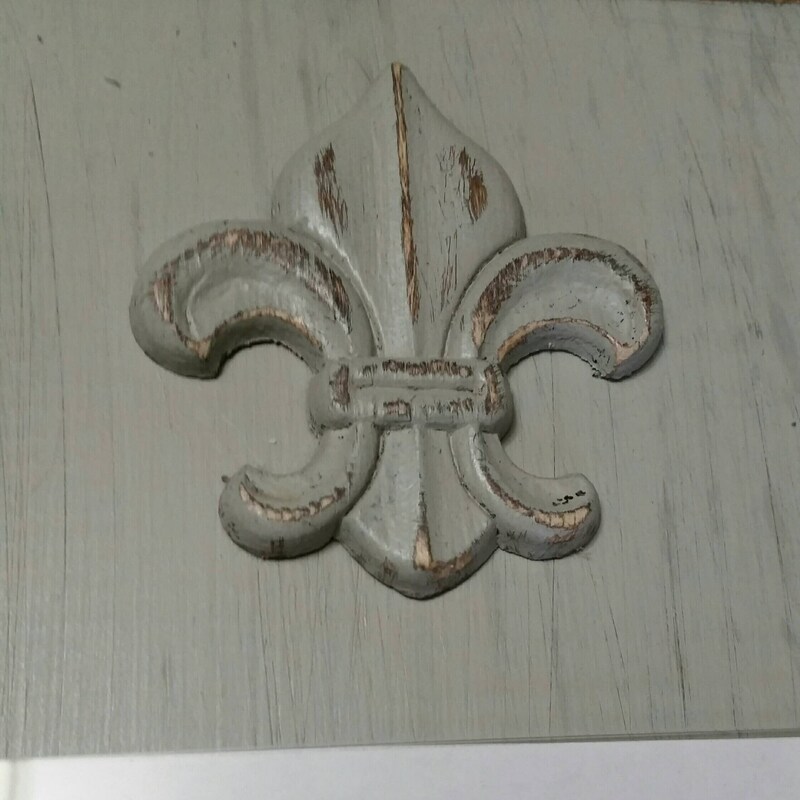 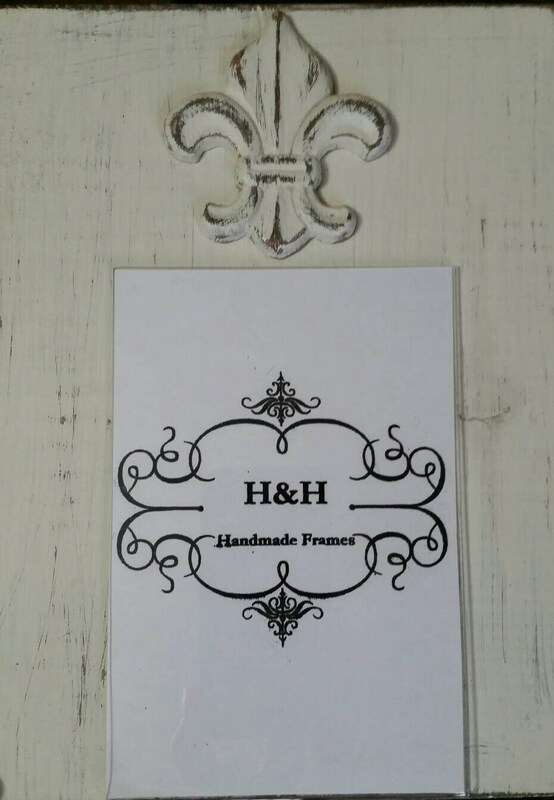 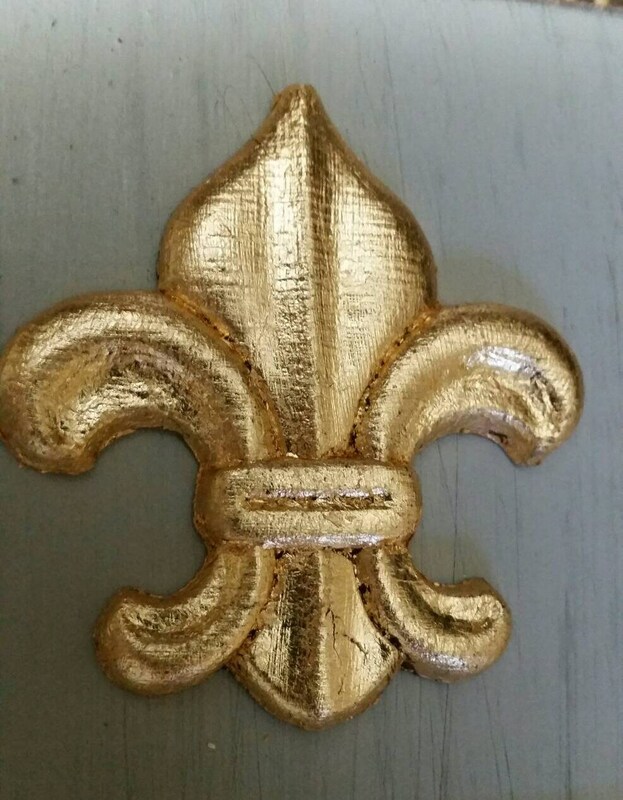 Finish color - Grey or White Distressed with fleur-de-lis. 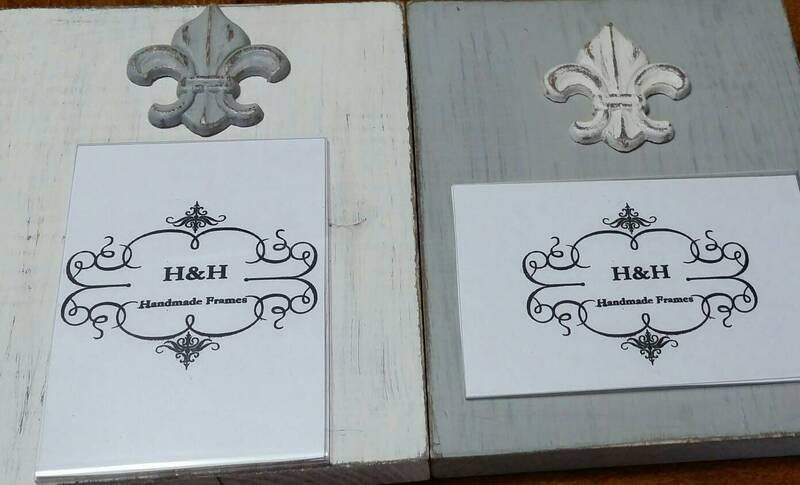 Just comment which color you would like.